As I’m writing this, it’s a blustery cold 52 degrees out and overcast here in Mesa, AZ. You are probably chuckling, but this is a vast difference from the 120 degree weather your car will be experiencing in six more months. And let’s face it, if you can take the time away from work you may head up to Flagstaff or the White Mountains to have a little fun in the snow where lows can easily drop below freezing. So what do you need to do to make sure your trusty desert runner can survive these cold temperatures? Here are some winter maintenance items that are commonly taken for granted here in the Phoenix area. Car batteries do not like excessively hot or cold temperatures. If it’s been over two years since you have replaced it, your battery IS working on borrowed time. 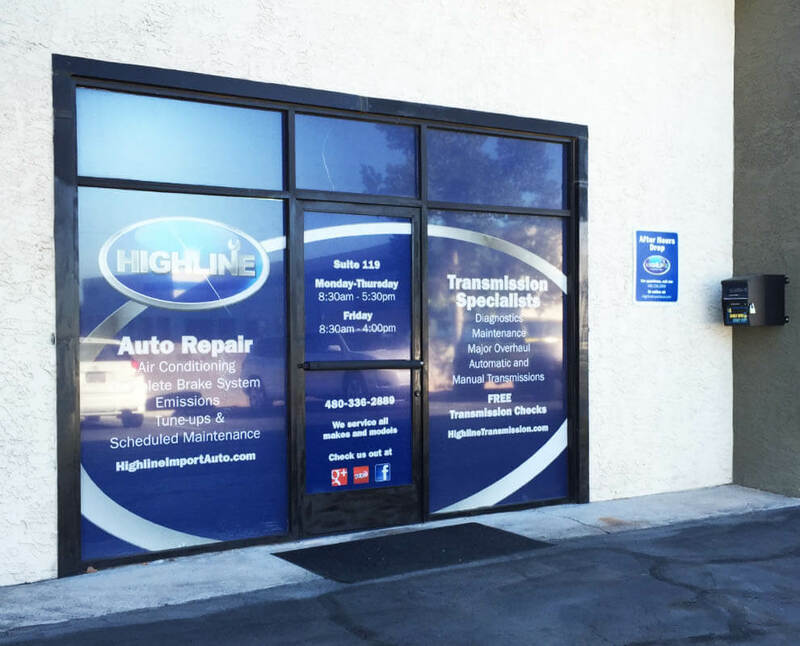 If you happen to be motoring around the East Valley, swing by Highline Car Care. A battery test is always quick, easy and FREE! As most of us Mesa residents know, this coolant is responsible for keeping your engine running cool in the summer. But did you know that for most of the nation, it has a second responsibility? Your coolant is also known as antifreeze. That’s right, when temps drop below freezing, antifreeze is used to keep your cooling system from freezing. Why do we care? Well imagine this – you throw a can of soda (or pop, depending on where you grew up) in the freezer and forget about it. What happens when it freezes? That’s right! That can swells up, and explodes if you don’t catch it in time. A car’s cooling system can do the exact same thing. Vehicles that do not have the proper mixture of antifreeze to water in the radiator can freeze and cause massive failures. Frozen water can actually split your engine block right in half. It can explode radiators, split hoses and otherwise cause massive damage. 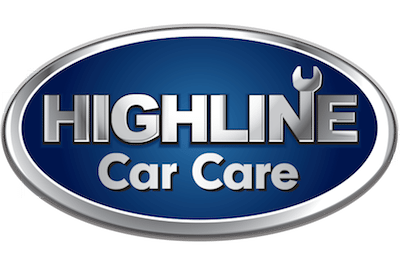 So if you are planning to hit the snow and your cooling system has not been serviced in 60,000 miles or more, swing by Highline Car Care for a tune-up! A cooling system service is quick, easy and much cheaper than the alternative. Much like your antifreeze, this fluid is designed not to freeze in cold weather. If you’ve ever driven to Snowbowl during a snowstorm, I’m sure you can appreciate the benefits of having non-frozen windshield washer fluid. Frozen washer fluid can damage your washer bottle, washer pump or just freeze while on your windshield (which coincidentally makes it very difficult to see while driving). If you plan to take your vehicle up north, make sure to let us know during your next visit. We will be happy to use the correct cold weather washer fluid to keep you and your family safe. There’s a good chance it is! Cooler temperatures can prompt an otherwise healthy gasket to spring a leak. As the temperatures go down, your rubber seals and gaskets have a tendency to shrink which can exacerbate minor leaks. You’d be surprised how many leaking valve cover gaskets we see this time of year! A leaking valve cover gasket can allow engine oil to run down onto your exhaust system which is very hot, and you guessed it – the result is smoke. Should you experience this, head to Highline Car Care. We’d be happy to take a look at no charge. A malfunctioning thermostat will not allow your engine to get hot enough. The result? Poor fuel economy, and even worse – a weak heater! If your heater feels like it is not functioning as well as it should, there is a good chance you are in need of a new thermostat. Cold weather results in low tire pressure. We must see 10 or more vehicles a week this time of year with unsafe tire pressures. Also don’t forget, a worn out tire may be safe to drive up and down the US60, but it can become VERY dangerous in the snow. 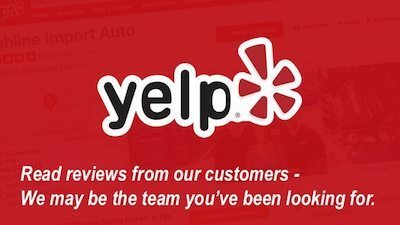 Have us take a look during your next oil change. If you plan to drive up to the snow make sure to ask for cold weather windshield wipers. Our standard desert wipers work great here in the valley, but can become frozen and useless up north. And attention Phoenix drivers – lift your windshield wipers up if you plan to park your vehicle overnight during a snowstorm. This will prevent them from becoming stuck to your windshield. That’s right, you may need air conditioning in the winter! If your windshield becomes fogged up and you hit the defrost button, it actually sends cold air to clear up the windshield. A malfunctioning A/C can make it difficult to clear things up. While worn out struts can be pretty innocuous while driving around the East Valley, they can be very dangerous driving through inclement weather. If your struts have more than 80,000 miles on them, there is a good chance they are worn. A worn out strut can cause your vehicle to handle unpredictably in an emergency situation, causing extended braking distance, excessive vehicle sway and less steering control. Trust me, you’re gonna want all systems functioning at 100% if you get caught driving down the I-17 in the snow. The cold weather can make a worn out drive belt inflexible, causing cracks and eventually breakage. Ever had a drive belt go out on you? It usually happens in the mountains, between Phoenix and San Diego. You know what I’m talking about. I can’t tell you how many summer vacations I’ve seen ruined by a bad drive belt. It’s equally important this time of year, and actually MORE prone to fail than in the hot weather. If you hear a chirp, squeal or otherwise unusual noise when you first start your car in the morning, it might be time to take a look at that drive belt. If you are expecting to be driving up north with colder temperatures than your car is accustomed to, make sure you are prepared. These 10 items are a great start and our shop, Highline Car Care, is the best option to get your car ready for the winter weather. Fill in the form below and our team will get in touch with you! Where can Wes reach you at? Let Wes know what's going on and how we can help and he'll make sure you and your car get what's needed. Wes can help you schedule an appointment with us or answer questions you may have.